Emoticons have become a standard feature of communication in both text and email. What started out as a fun add-on to digital communication is now a common way to express ideas and emotions. Many people who have trouble expressing their thoughts in words use emoticons to help convey what they are feeling. They are quick and to the point. For the most part, the receiver on the other end will interpret them immediately. Using email emoticons has even become common in the workplace. But when using them in a professional landscape, we need to consider a few things. In some instances, it may not be appropriate to use an emoji in workplace communication. It’s important to separate your personal and professional life with regard to using emoticons. Maintaining discretion and tact is very important when using them at work. Office etiquette must always be adhered to. A survey by The Atlantic found that 76% of Americans claimed to use emojis in workplace communication. While their use in professional communications has become commonplace, we need to establish some ground rules. While sending a smiley or sad face to a friend is harmless, you need to consider the context when sending them in a workplace email. Not only does office etiquette need to be adhered to, we need to consider our audience. Sometimes an emoticon can be taken the wrong way. Below are some things to consider when using email emoticons at work. Some people associate emoticons with incompetence. To some people, they are seen as overly casual in professional communication. That being said, it’s important to consider your audience before using an emoji. A good rule of thumb is to only use emoticons when communicating with someone you know and have a good relationship with. If you have established a good rapport with a colleague, then it’s probably okay to use emoticons. When communicating with a boss or upper management, you need to be careful. You don’t want to come off as unprofessional. Unless you have a cordial relationship with your boss, you may want to avoid emoticons. Email communication with a client or potential client should not include emoticons. This could easily be construed as unprofessional. Unless you have a familiar and friendly relationship with an existing client, avoid the use of emoticons. Before sending email emoticons, consider the situation at hand. Sometimes an emoticon can be a great way to lighten the mood and relieve tension in a stressful email. They can also be used to express motivation and positivity with regard to an office project. However, when communicating very serious information to a co-worker or client, it’s probably better to leave them out. If there is a conflict regarding a co-worker or task, emoticons probably aren’t appropriate. You don’t want someone thinking you aren’t taking a matter seriously. Many offices now use chat tools for inner-office communication. In this environment, emoticons are often used as slang in order to quickly express ideas. For the most part, they are acceptable in this situation, but only in moderation. Emojis can mean different things to different people. While we think the traditional smiley face emoji is pretty straight forward, it may be perceived in different ways. You don’t want to risk confusing or offending someone unintentionally. If you’re communicating with someone from a different country, they may not interpret the use of a particular emoticon the way you intended. You could run the risk of confusing someone, which alters their perception of your professional etiquette. You should also keep in mind that different devices will display emoticons in different ways. A GroupLens study found that misinterpretation occurred when the same emoji was displayed differently across a number of devices. Always keep in mind that most people read email on their phones and could possibly confuse your intended message. When used effectively, emoticons have been shown to have value in the workplace. They can be used to show intent and also add inflection when needed. They can be valuable tools when conveying emotion through text falls short. Emoticons can be used in an email to help convey how the information should be interpreted. They can signal the instance of comedy or help incite a more casual tone. They can also be used in the subject line of emails to help immediately set an intended vibe. When sending an emoticon, think of the intended message first. They should always make sense within the context of the email. Only use them to help better express the existing text. There are hundreds of fun emoticons available, but only a small number should be considered in the workplace. When using email emoticons at work, it’s better to only use those that you’re familiar with and are commonly recognized. This is not the time for playfulness or experimentation. Only use emoticons that you know are commonly used in the workplace. Everyone uses them to varying degrees, so don’t assume that your audience will enjoy unusual emoticons. Only use those that express simple emotional statements in simple ways. How would it look to see a professional email stuffed with different emoticons? It would look more like a child wrote the email. 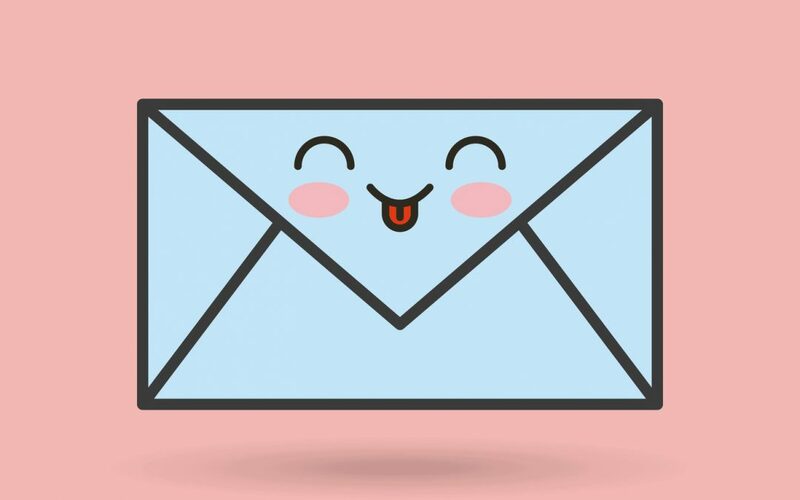 Email emoticons should only be used as an extra feature in delivering a message. They should be accessories to the text and used very sparingly. They should never take the place of words. When sending an office email, consider that the text should carry the bulk of the intended message. Never use an abundance of emoticons. This has the potential as being perceived as immature and completely unprofessional.